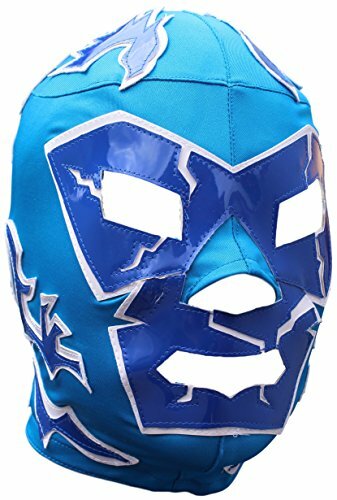 Dr. Wagner Blue Lucha Libre Adult Mask. High Quality Lycra Mask, perfect for an original costume! Handmade in Mexico by Deportes Martinez, the best and original lucha libre products manufacturer since 1933. Open in the back and laced up for a custom comfort. The worldwide prestige of Deportes Martinez was born in 1933 when Don Antonio Martinez H, a skilled shoemaker, used his knowledge in the work of the skin to create the first mask used in the wrestling world. Today Deportes Martinez products are sold worldwide in both small and large arenas. If you have any questions about this product by Deportes Martinez, contact us by completing and submitting the form below. If you are looking for a specif part number, please include it with your message.